Dear Zwift: I Need More Carrots! I like to set goals. Then I like to crush them. Does this resonate with anyone else? I know I’m not alone in this–that little shot of dopamine received every time we achieve something is a powerful thing. Cycling is a wonderful sport for goal-setters because a variety of metrics are easily tracked. When I came back to cycling after an 18-year hiatus I quickly discovered Strava, and it changed everything. 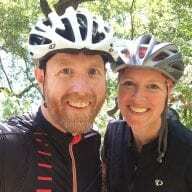 Now I could have what I already loved about cycling (fitness, friends, exploration) while tracking my progress against myself and other riders. Likewise, my first season on Zwift was full of goals and achievements. I quick leveled up with my 150-mile weeks, finishing off the California, Italy, and Everest challenges. I didn’t unlock the Tron bike for a year, but by then I had unlocked just about everything: all the achievement badges, challenges, and levels in the game. I had forgotten they even existed until I went looking as I researched this post. These were added without much fanfare after I had completed all the other badges, so I never gave them much thought. But now I’m figuring out how to get them done, too! 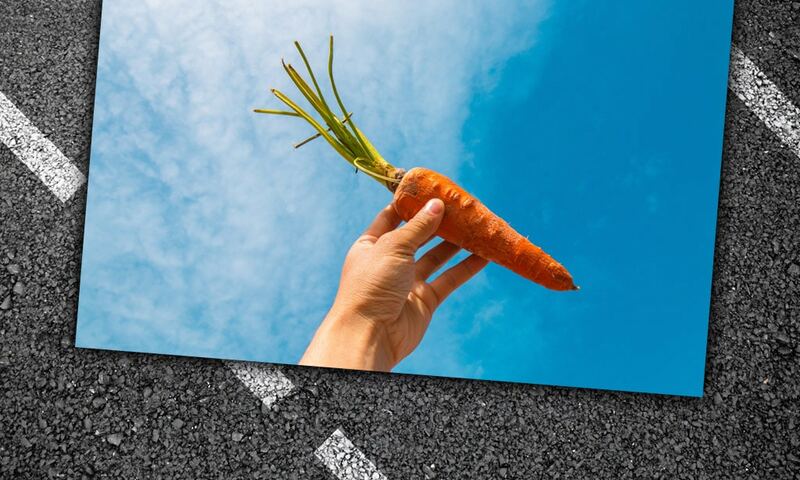 Let’s talk for a moment about the carrots Zwift has already placed in the game. 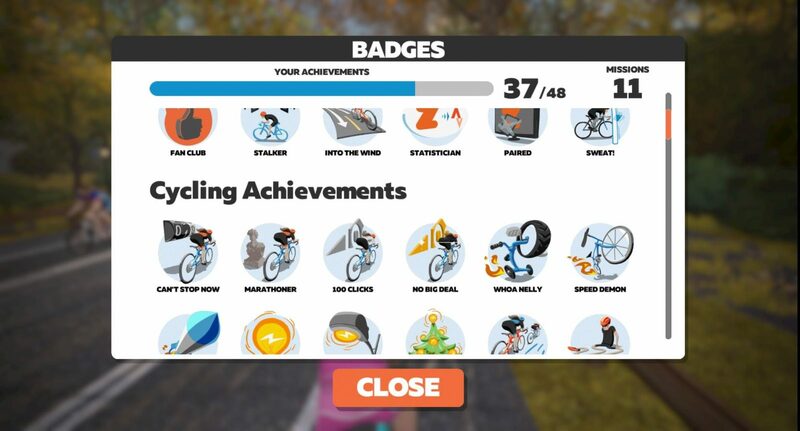 If you’ve been around Zwift for a while it’s easy to forget all the little badges and other achievements from your first season or two, but they are worth mentioning because there’s a lot that’s right about them. Levels: driven by XP, that progress bar atop your screen is a good longer-term motivator. I’m at 46, and I rather dread the day I hit level 50 and it stops moving. Missions: these temporary challenges typically last 2-4 weeks, with only one (and sometimes none) available at any given time. Example: the 10,000 Calorie Mission was available in January 2018. Alpe du Zwift spinner: I’ve been to the top 6 times in the past week, and landed on the helmet every. single. time. I want those Meilensteins! Random Drawings: lots of events (like the ASSOS Speed Club series) enter you into a random drawing for real-world stuff if you finish. 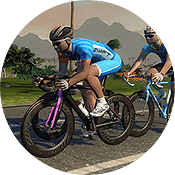 Kit unlocks for events: some virtual Zwift kits are unlocked by participating in just one event, while other unlocks require completion of multiple stages. In-Game Goals: Zwifters can set distance and time goals for their week and/or month via the Companion app. Zwift Academy: the annual Zwift academy events bring riders together to work out and compete. Finishing the Academy earns you an icon next to your name, as well as a virtual kit and (sometimes) other goodies. Of course, top riders get to move onto the semi-finals, etc. Virtual Store: this is coming soon, but will certainly provide added incentive to accumulate virtual currency to buy bikes, wheels, etc in game. I can’t wait! All of these carrots help motivate new Zwifters to use the platform in a variety of ways, and that’s smart. Even as a veteran Zwifter I’m still motivated by some of these carrots today, including the virtual kit unlocks for events. It’s a bit silly, really: multi-stage tours are fun for me even though I’ll probably never wear the kits I get for completing them. I imagine the kit is framed and mounted in my imaginary man cave, finding its place among various other achievements only I care about. LeTour: ride the distance of the first Tour de France (2,428 km/1,509 miles) and unlock an old-school steel single speed La Française with toe clips–the bike Maurice Garin used to win the first TdF. You could do challenges for the Vuelta and Giro as well. RAAM: complete the Race Across America distance (approximately 3,000 miles). Unlock a touring bike complete with panniers. Missions: The temporary nature of missions is what makes them special: if you don’t finish them in time, you miss out! I’d like to see a new mission every month. Why not? There’s always something a partner wants to advertise, a prize people could win in a random drawing, a fitting challenge for that particular time of year. You could even have multiple challenges each month, but only let people pick one at a time. Achievement Badges: lots of options here, from the mundane to the straight-up crazy. KOM King: take 5 KOMs (on a course that’s actually open, no world hacking you big cheater!) Additional unlocks for 10, 25, etc. Speedy Sprinter: take 5 sprint jerseys (on a course that’s actually open) Additional unlocks for 10, 25, etc. Levelheaded Leader: unlock some special piece of clothing by leading at least 10 group rides. Award additional pieces of kit for leading 50, 100, 200 group rides. 25 Trips To the Radio Tower: this is my most-hated stretch of road in game, so any incentive to tackle it is good for me. Around the World (riding 40,074 km/24,901 miles): obviously this would take a while, but why not set it up? World Traveler: unlock this achievement by completing a century in every Zwift map. Lose the badge when a new map is released! Perhaps have two levels of achievement: metric and imperial. Prestige System: decorate jerseys with numbers or something that gives the rider more prestige. Maybe just for riders over level 50? Explorer: get a badge for completing every route (including reverse!) in a world. Different badge for each world, and when a new route is released… you lose the badge. Zwift would need to tell you the badge is lost, though, so you know you need to ride the new route. Kit Unlocks: give us more events that unlock limited-edition kits, and make it easier for us to find these events with search filters. It’s nearly impossible to do right now! Here’s the thing with kit unlocks, though: they have to be visible. Make it a distinctive jersey or hat. More Body Accessories: let us unlock jewelry, tattoos, crazy hairstyles… you get the picture. Levels: why not have more levels? I don’t personally care about this much today, but once I’m at level 50 for a week I know I’ll be wishing for 51. Real stuff: this year’s Tour de Zwift did this for the first time I can remember. After I completed the tour I received an email invite to purchase a TdZ prize box with special water bottles, stickers, etc. I like this idea. Perhaps Zwift could have some exclusive merch available only for certain levels? Too Many Achievements: you don’t want so many different achievements that it gets confusing for new Zwifters, or you’re hitting so many achievements that the unlocks are distracting or no longer feel special. Developer/Artist Time: obviously, creating these carrots takes time, and time is money. Zwift has to balance this with other priorities. With those concerns in mind, I still think it’s time for some new carrots. Do carrots encourage you to push harder? What do you think of my carrot ideas, and what would you add to my list? Challenges that allow the unlock of some L’Eroica style bikes would be the tastiest carrot for me! more badges, more challenges …we need more of these for sure. I think that the most important thing at the moment is the virtual store. When i achive a badge or i unlock a level the most important thing i care about is the item i unlock. Another important thing for me: More achievments that can only be unloked in one big/hard/long session. I don’t like the kind of badge everyone can unlock them with a bit of patience, i like the ones like 100Miles, everesting..
I’d like to see jerseys that has our PR time on them when going up a KOM like the Alp or Epic KOM. So even on your easy days going up, people know what you’re capable of. Just a two digit number would suffice, I’d have #52!. I’d work towards xp to use those points in a virtual store to buy that. Then I’d also know who to chase in hopes of bettering my time! Also, bikes that you earn should be just as fast as the Tron would be nice. If I earn a touring bike with panniers or a big wheel, let me use it in my races! No sense working towards a bike and it’s not competitive. Our Strava miles should count towards zwift too or have a Strava badges. I’d like to see a challenge that requires you to complete a distance having a team made up of various countries. Gather all your followers from around the world and aim towards a group goal. A good challenge for the round the world badge. You could ride to your closest follower, then hand off the baton to them. Lastly, our badges and challenges should be in our profile so other people can see them. I’d like to be able to set more “Goals”. Currently can set a weekly or monthly goal for distance or time. How about daily goals, climbing goals, rides per week, workout goals vs ride goals, etc…… I would like to have more options other than a weekly time and weekly distance goal. In real racing, you draft most of the time. So this is in fact pretty real element. In absence of drafting, most of real races would be of no interest for most of racers. Did you notice that “all-rounders” are nowadays extinct? With the knowledge of power profiles, there are the racers for specific race and there are some (small) chances to overfox them using smart tactics, Including drafting. Without usable tactics available, I am not interested racing against specialists in their respective terrain. I love challenges. Love the challenge of accumulating XP and levelling up. I was stuck on 25 for a while (not as long as many though) and that was not much fun. I am at 99% on the Tron mission so when that’s done I’m not sure what’s next. I wouldn’t use more virtual kit as I have my chosen jersey and avatar style and don’t change it. It’s cool to unlock, but I can take it or leave it. I’d forgotten about the badges in the virtual trophy cabinet! The Zwift Store is going to be interesting. @ dirty slob – If we eliminated drafting from Zwift races it may as well just be a time trial or (gasp!) triathlon bike leg. There would be no tactics and it’d just be about pushing watts or w/kg. Virtual drafting at least throws in an element of tactics into the races. @ dirty slob- Not all Americans cheat, FYI. Think you need to settle down a little. it’s a game and a great training platform. I am 50 and weigh 203 lbs “D rider” and that’s what it says on Zwift power. If I can, I will run at the front of the pack just as much as the next guy. but if I can’t then I run in the draft, that’s part of the GAME. If you don’t like the GAME then don’t play. SEND US MORE CARROTS!! It seems pretty silly really to go after these virtual carrots….. and yet I am driven to get them each time. Yay to more carrots.